Two pioneers of perimeter protection have joined forces to launch the latest in mobile hostile vehicle mitigation (HVM). Rosehill Security and PSSA member Zaun Limited have combined the ultimate in rubber HVM barriers with fence panels developed for the London 2012 Olympics, to produce a crash-rated fencing and barrier system that can be deployed rapidly. The ImpaktFence is a unique integrated IWA14 crash-rated fencing and vehicle security barrier (VSB) HVM perimeter security system developed in collaboration between Rosehill Security and Zaun. The surface-mounted ImpaktFence system can be rapidly deployed for temporary or permanent security, as a part of an overall HVM strategy to protect people, buildings and infrastructure from hostile vehicle attacks. The barrier is constructed from solid 1m cubed rubber blocks, which at 430kg each, weigh one third of similar concrete VSBs, adding to the ease and speed of deployment. 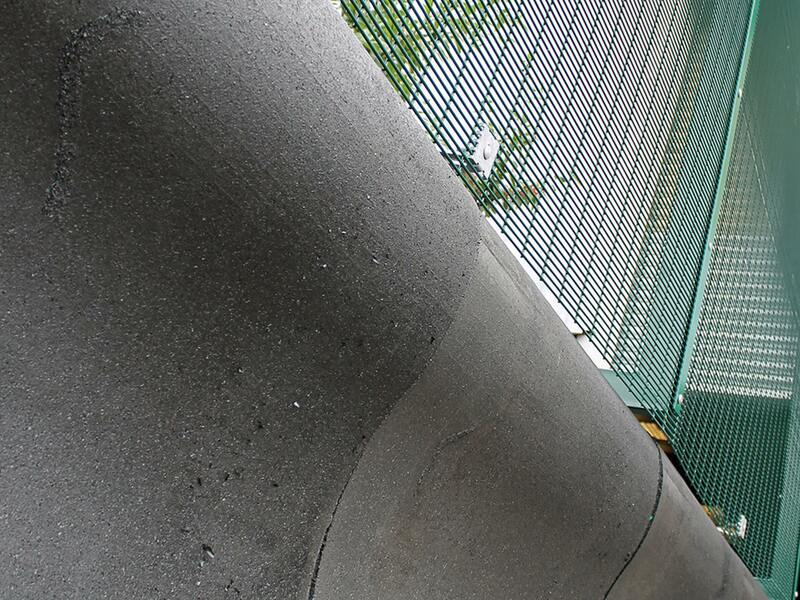 Blocks are connected by steel securing cables – which can be anchored to create a stronger barrier – providing the flexibility to protect both entrance areas and site perimeters against hostile vehicle attack. The innovative shape with its large footprint has been specifically designed to block vehicles. The ImpaktFence barrier has been successfully impact-tested to IWA 14-1 specification, stopping a 7.2 tonne N2A lorry travelling at 30mph (48kph). The IWA14 rating specifies the essential impact performance requirement for a VSB and a test method for rating its performance when subjected to a single impact by a test vehicle not driven by a human being. The 100%-recycled rubber blocks incorporate integrated 80mm x 40mm steel fence posts, which provide additional rigidity and support. The posts, at 2060mm centres, hold Zaun’s HiSec anti-climb mesh, providing an ultra-secure perimeter – while CCTV, anti-intrusion detection and fence toppings can also be incorporated into the installation. The new barrier and fencing system is an ideal physical and visual security deterrent for either temporary or permanent installations, and can even be supplied in corporate livery and event branding.